Curator's Group Tours! Wednesdays by Reservation Only. Beyond the Gate was created as a temporary exhibit for the Oregon Historical Society by Dr. Jacqueline Peterson-Loomis with the help of Carey Wong, Exhibition Designer, Jennifer Fang, Associate Curator, and the Portland Chinatown History Foundation. It was presented for three months in spring, 2016 and then dismantled. We are deeply grateful to the Oregon Historical Society for helping the Foundation bring the Chinatown community’s story home. In fifteen original compositions of English letters and Chinese characters formed in pen and brush work, Man of Letters traces the career of acclaimed Oregon calligrapher Allen Wong. Youngest son of Wong On, poet, and founder of Hung Far Low. Allen spent 19 years as a graphic designer in New York City before returning to Oregon to start the Graphic Arts program at Oregon State University. Influenced by Lloyd Reynold’s modern calligraphy movement, Wong developed his own style of abstract impressionist Chinese calligraphy. His work has been exhibited throughout the United States and Europe. Man of Letters is the first installment of the Portland Chinatown Museum's new series of exhibitions celebrating the work of Portland Chinatown artists. A commemorative keepsake for the 15th Anniversary of the Valley Calligraphy Guild. Lettering by Allen Q. Wong, printed by Classic Letterpress, and assembled by Sandy Tilcock, Bookbinder,. Copyright, 1991. With permission of the Valley Calligraphy Guild, Eugene, Oregon. Only 2 Lifetime Memberships Remain! Photo: Courtesy May Chang, Courtesy Jeff Lee Photography. You can support the Portland Chinatown Museum and its mission through the purchase of an annual membership for yourself or your family. We offer pricing for seniors, educators, students, families, and Friends of the Museum. 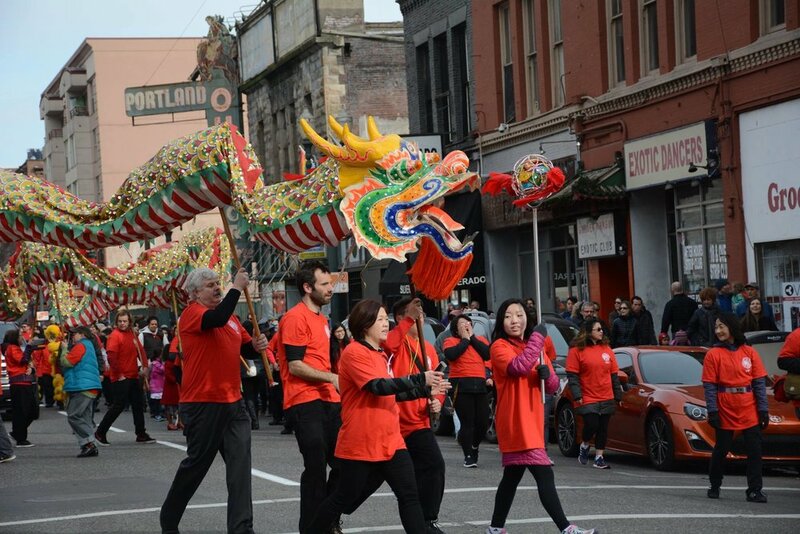 For more info about higher-level memberships and associated benefits, contact jackie@portlandchinatown.org. Free admission to Portland Chinatown Museum, Invitation to Members' Only Exhibit Previews, Discounted program and special events pricing, 10% discount for purchases in Museuem Store. The Portland Chinatown Museum is operated by the Portland Chinatown History Foundation, a 501c3 not for profit charitable foundation registered in the state of Oregon.